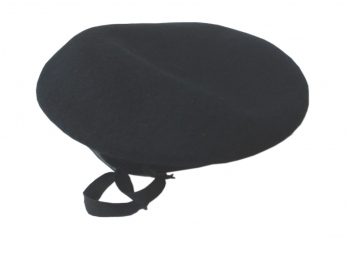 New simple beret cap, 100% wool, leather trim, in black. Available in 3 sizes. Sizes are approximate, measured around the head.